You can never go home again. That’s what they say. Really? If that were the case about a quarter of the Booker Prize shortlist would have no resonance whatsoever. Characters are forever poking around old haunts and stimulating unresolved disputes. There is more of that in the latest lengthy musing from the great Turkish director Nuri Bilge Ceylan. Over the last decade, Ceylan – never a director of furious action – has closed down his cinema into a study of the conversational art. There is humour in here. There is even some glacially undulating plot. But the dynamics that matter are those that play themselves out through spoken language. Sinan (Aydin Dogu Demirkol), a recent graduate, returns to his maritime home with plans to self-publish a philosophical tome inspired by those surroundings. We’re never very certain if he’s any good as a writer. The whole project may be part of a pose. “I don’t really like people,” he tells his mother, as many such men tend to do. The project does, however, allow him the opportunity to wander about the village and generate more of those fascinating conversations. His dad, a gambler and schoolteacher, has accumulated such debts that the family are sometimes without food or power. He meets up with a famous writer in a bookshop and ends up losing his manners. 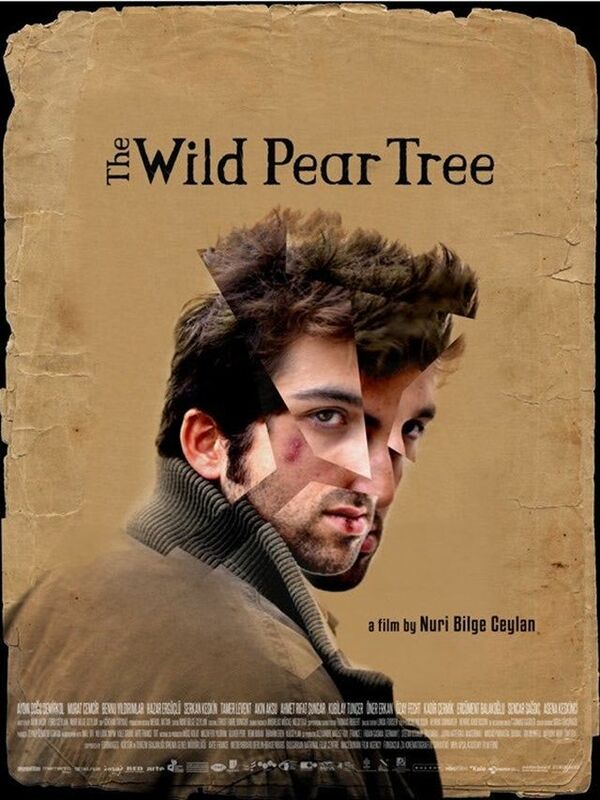 Whereas Winter Sleep, which won Ceylan the Palme d’Or at Cannes, played like a journey into the darker corners of a troubled brain, The Wild Pear Tree spends as much time being playful as it does cogitating on the great existential questions. It invites the viewer to (silently, we hope) add his or her voice to the back and forth of the debate. Filmed in a gorgeous widescreen that is at home to the area’s natural beauty, The Wild Pear Tree is sometimes haphazard in its chatter, but it finds purpose in a final sequence that gathers together many of the film’s concerns. One does, nonetheless, wonder how much further Ceylan can go with these gabbathons. The daunting length and narrative inertia are in danger of becoming fetishes. Are we to be forbidden even the relative zing of earlier pictures such as Once Upon a Time in Anatolia? His followers won’t worry about such questions.